Destination weddings can be far simpler to plan than a large-scale ceremony back home, but there’s a still a bit more to it than jumping on a plane and hoping for the best. That said, here at Constance we make everything so easy, it really is as simple as sharing your dreams and letting us make them come true. The first step is to decide what kind of setting you’d like for your ceremony. 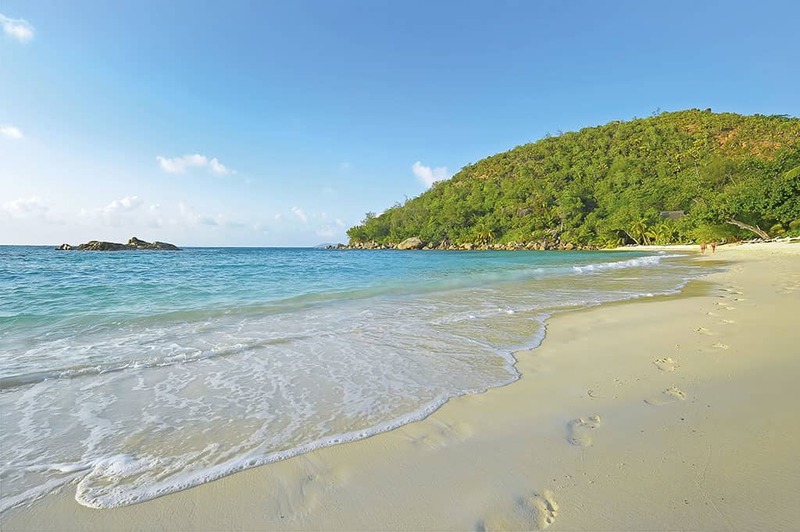 Yes, you’ve chosen to get married on an Indian Ocean island, but that doesn’t mean you have to say your vows on the shoreline. 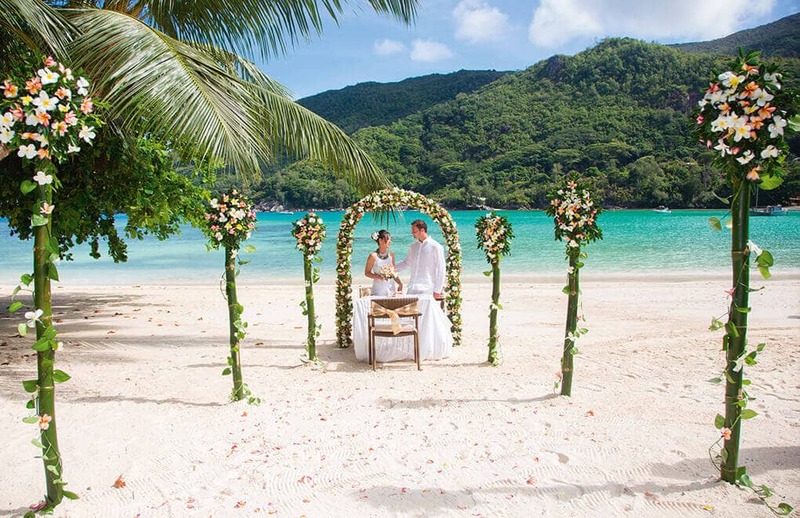 Every Constance hotel and resort offers a slightly different take on the traditional wedding, so you can choose to say ‘I do’ on a jetty above the turquoise lagoon, in a luxury villa or restaurant, or in a tropical garden setting, as well as on the beach. 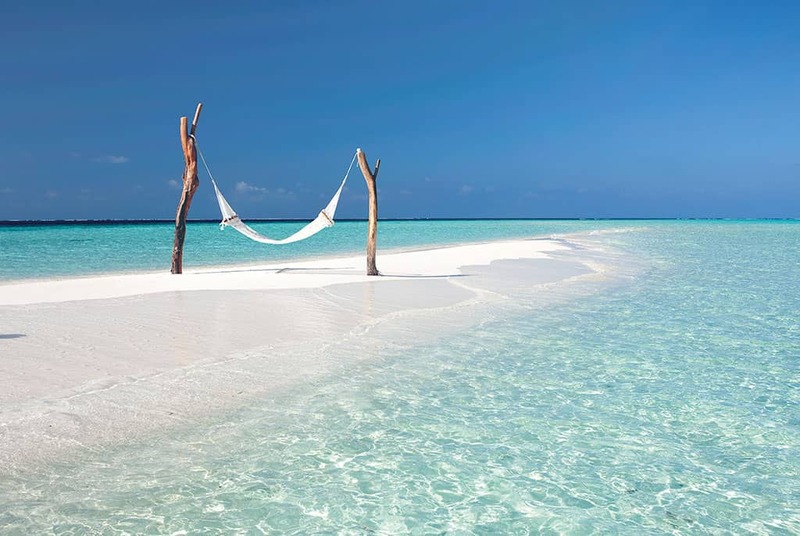 At Constance Moofushi in the Maldives, couples can tie the knot on their own private sandbank, surrounded by friends and family. 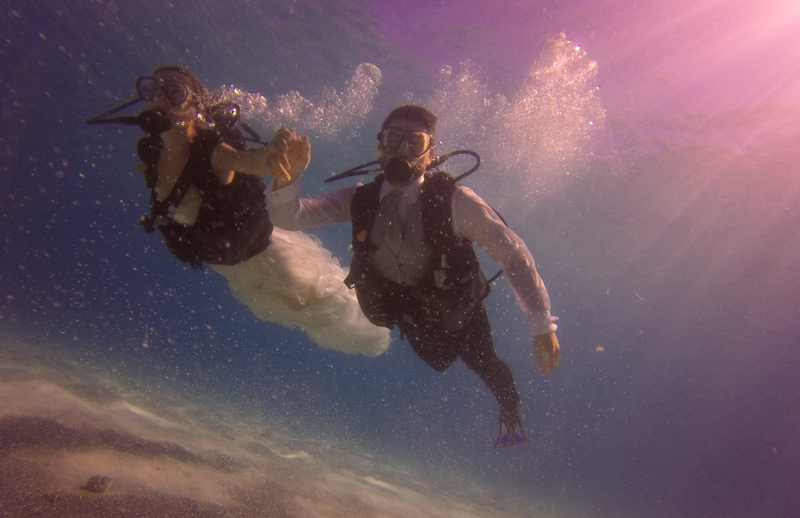 Diving fanatics can even get married underwater! The options are plentiful. 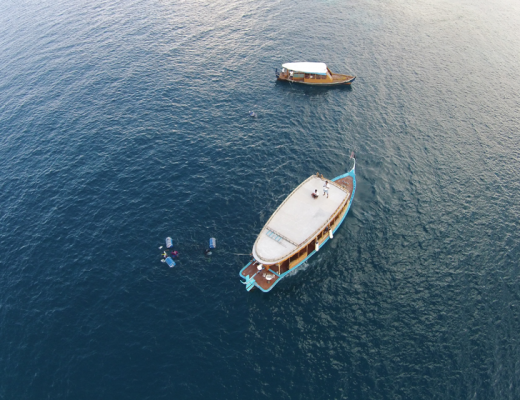 An original way to get married, in the Indian ocean. Another important consideration is the time of day you’d like your ceremony to take place. On the beach at sunset is a always a popular choice, but some choose to have their proceedings earlier in the day so there’s more time to eat, drink and celebrate afterwards. Think about your photos too. The light at midday is hugely different to late afternoon, and will have a significant impact on how these turn out. You’ll also have some firm ideas about the overall vibe and aesthetic of your wedding. Are you after something barefoot, totally informal and carefree? A few friends, a simple flower in your hair and a laid-back knees-up? Or do you have the whole gang in tow, with the need for formal table plans, colour schemes, cakes and speeches? Whatever your requirements, there’s a Constance wedding package to suit. 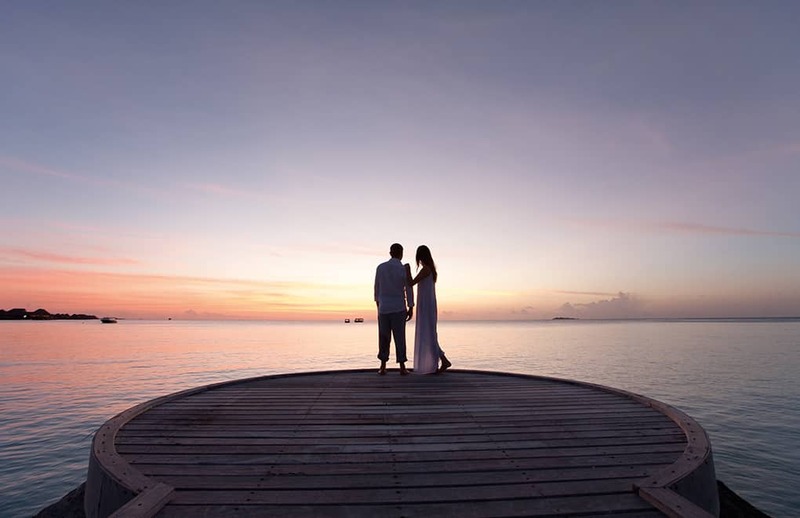 We can provide almost everything you could desire, from buttonholes, bridal bouquets and pre-wedding spa treatments to sega dancers, videographers and coconut tree planting ceremonies. Most of all, our dedicated planners are here to turn your wedding dreams into reality, from offering advice on the mundane legalities and paperwork to suggesting the best type of Champagne for your toast. All you need is the vision, and we’ll make it real. 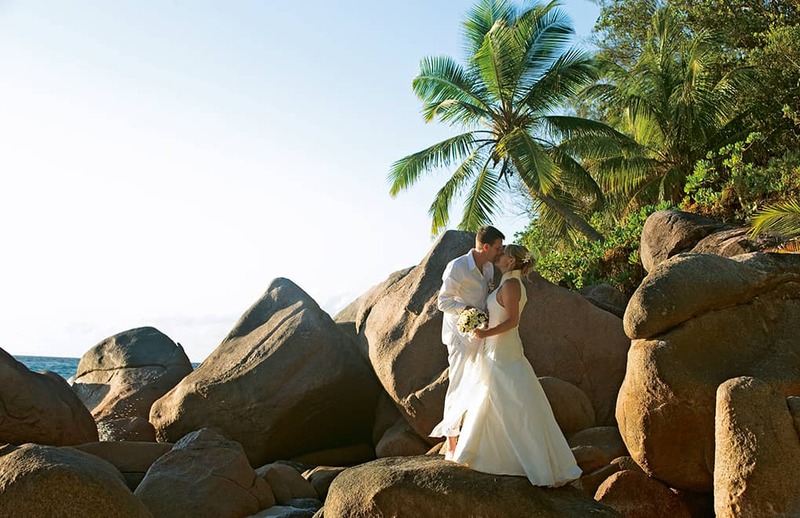 Check out our weddings e-book for ideas and inspiration and start planning your Constance wedding today.